Hello, and happy May! It seems like we just started this year and now we’re almost halfway through it. And before we know it, Summer will be here! When life seems to be flying by lack this, I find it’s important that we all take a deep breath, exhale, and take the time to live in the moment we’re in. For instance, even though the school year is almost finished, Mother’s Day is coming up before that, so let’s be sure to celebrate it! 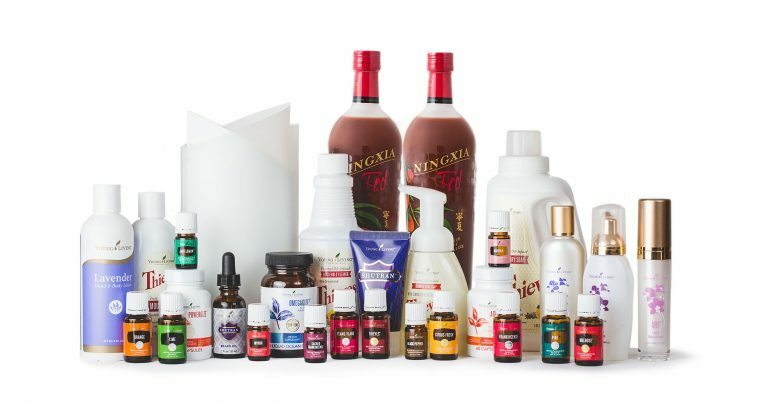 And even in just everyday life, there’s plenty to be excited about, and there’s a lot going on with Young Living that I wanted to make sure you knew about. *Remember, in order to get the Essential Rewards Exclusive Lime Vitality 5-ml and the Essential Rewards Exclusive Peace & Calming 5-ml, you have to be enrolled in Essential Rewards (ER) and have an order that meets the PV requirements for those items. The extra bonus of meeting these PV amounts with your ER order is that you get even more ER points to spend later! For those restless nights or whenever you need to calm your mind and get grounded, Peace & Calming and Juniper have you covered. For an invigorating, breath of fresh air, diffuse Eucalyptus Radiata, or wear it as you go on your outdoor adventures. I’m pretty sure I don’t need to even say why having Thieves during seasonal transitions is necessary (and we get a 15-ml bottle!). And Lime Vitality? Well, it’s pretty much time to start enjoying guacamole and margaritas, and Lime Vitality is perfect when used in either one – you can even use it to enjoy a festive Mother’s Day celebration! Or, you could always pick some of these (or even all of them) as part of a Mother’s Day gift to show her how much she means to you! I don’t know if you heard all of the amazing things that happened last month, but there were some new products released, some old favorites that came back, and some additions to the Savvy Minerals collection! The first one that I am SO excited about, is that the Valor Roll-On is now back in stock! If you haven’t tried Valor yet, it’s basically courage in a bottle. It’s calming, it’s uplifting, and it can help give you the confidence to face any situation. 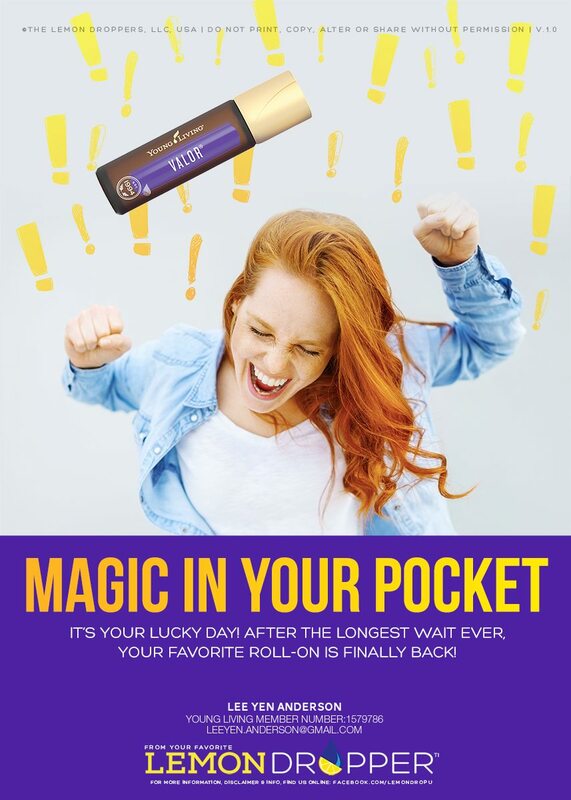 And having it in the roll-on version again means you can take it wherever you go! If you’ve never tried it, it’s one of my absolute favorites and I think you’ll love it too. These are so fun, and you can check them out in the new Spring Catalog that highlights the Savvy Minerals line! 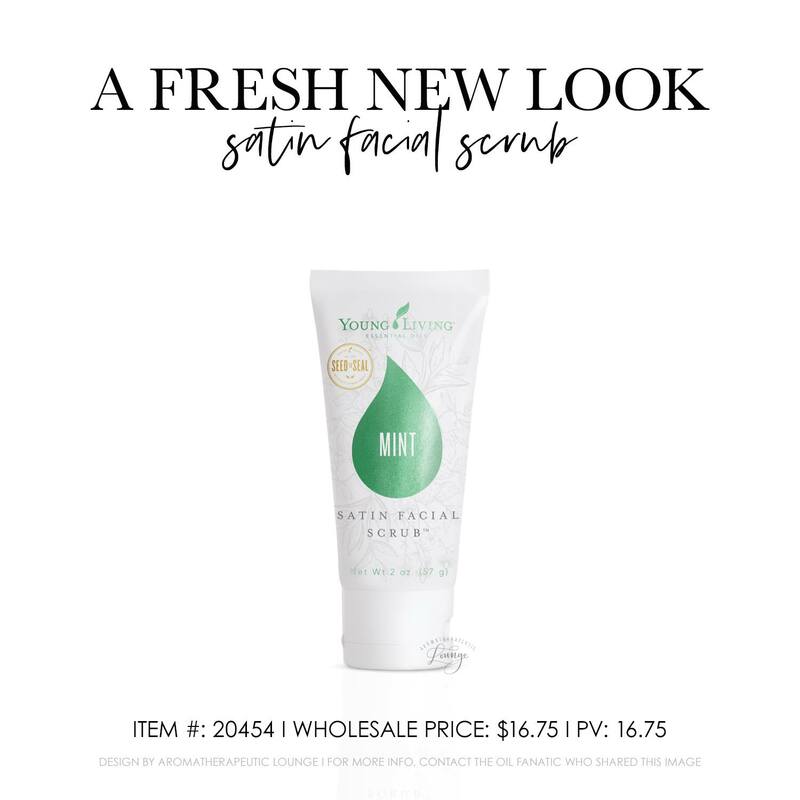 The Satin Facial Scrub has a new look and is now a 100 percent naturally derived formula that’s designed to gently polish skin to reveal a glowing, radiant look. This reformulated scrub now features exfoliating apricot seed, raspberry fruit extract and mango seed butter, and the fresh scent and invigorating feel of Peppermint essential oil. It’s that same refreshing feeling, but just better. Trust me, if you’re looking to pamper yourself a little bit, you need this in your life. Here are some reasons why! Like I said, there is a lot to be excited about with Young Living, and it can all help us take things a little slower and really enjoy the moments as they come. And as May presents us with many moments to celebrate and transition, I hope that you find yourself happy and well, and if there’s anything I can do to help you find that perfect Mother’s Day gift, or you just have a question about anything, let me know! I’m more than happy to help. I hope you have a wonderful May and can find the time to stop and enjoy the little moments that come our way!